Web browsers are applications that use your Internet connection to access the World Wide Web. When you want to Stream and watch movies online, you need a browser, when you want to play games online you need a Web Browser. Basically, it sends requests to a web server, which processes the said request and sends back data in raw form. An internet browser translates this data into the graphical web page that you get to see and interact with. With websites becoming more user-friendly, interactive etc., you need browsers which have the capabilities to match up to these demands and process data faster. Here we introduce a couple of the top web browsers which you should be using. We also describe what makes them stand out from the other top browsers, so you can choose the best browser for you per your needs and wishes. I’ve also written a post on How to make Google as Homepage in any browser, this will help you to do quick Google search in Any browser. There is no denying the fact that Google Chrome is the most popular browser ever made. Pros: It’s fast, simple and delivers a no-frills user experience. Professionals, as well as novice users, find Google Chrome to be equally good. If you are a pro, then the developer-oriented features, (which lay hidden mostly) are enough to make you jump into its user base. In fact, Google Chrome is so popular that web pages are tested for their performance and delivery of user experience in it by web developers. It also makes use of Google’s enormous barrage of resources and knowledge to provide you a seamless experience across platforms and systems. The ever-growing extensions library is also a reason to have Chrome as your primary browser because of the increase your productivity on the web by a large margin. Google started an Open-source web browser called Chromium in the year 2008, It is the core for Google Chrome Browser which holds rank 1 in our ranking, You can see the difference between Google Chrome and Chromium in Wikipedia. Cons: The only negative aspect of Chrome is the amount of RAM it eats away. This can be a problem in systems which are old or less memory. 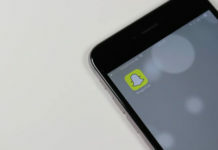 It also tracks and records your usage statistics in a very deep (often creepy) way, thereby giving Google more reach into your browsing habits and data about you. These can be handled with a careful choice of the privacy settings, though we’ll get to that later. Firefox has been here longer than Google Chrome has, it’s been decades since when Mozilla Firefox was launched. Pros: It has a fairly large development community backing it and the browser has proven to be really stable in performance. 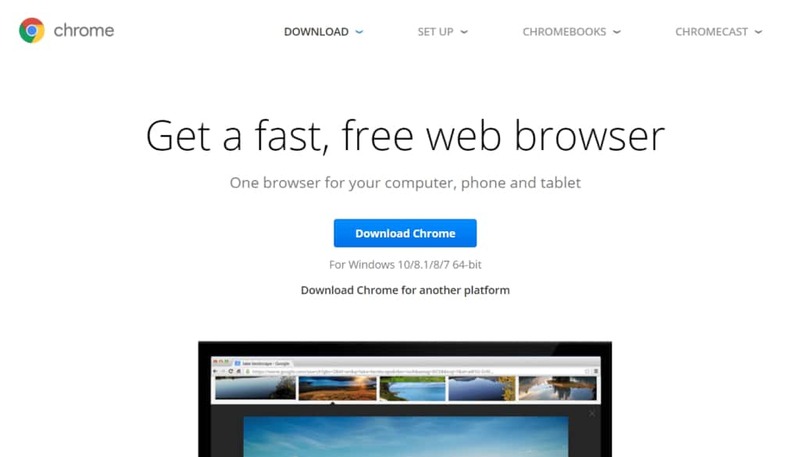 Like Chrome, it also features fairly large extensions, add-on library, and private browsing. Mozilla Firefox ranks very high on personalization as well and offers a lot of flexibility in terms of privacy settings. 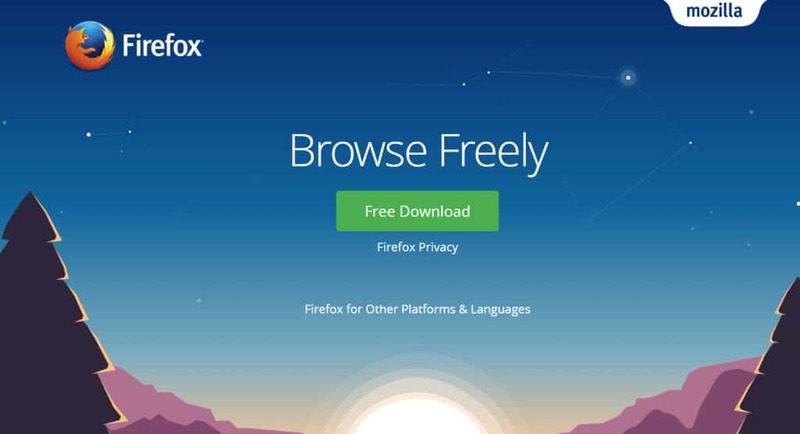 Users who are wary of Google’s intense and deep reach into their data may choose Mozilla Firefox since it barely tracks user data without your knowledge. Since it’s an open source community-backed project, they don’t really have to sell you to ad agencies or sell ads to you. 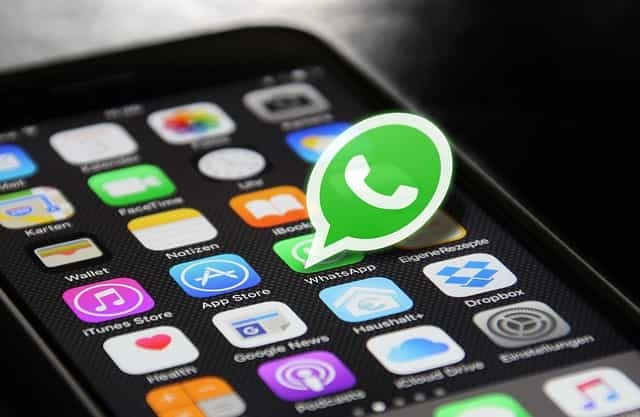 Take this one, if you’re among the more paranoid of the lot & don’t want Google prying into your social life, yet need all the advanced features and performance a modern-day browser needs to provide. I’ve written ways to increase speed in Firefox. This is Microsoft’s answer to Google Chrome. A simple and clean UI combined with brilliant background processing capabilities. It’s new on the block and hence, the user base, as well as the extensions and add-ons library, are not as diverse or as large as the above two on the list. 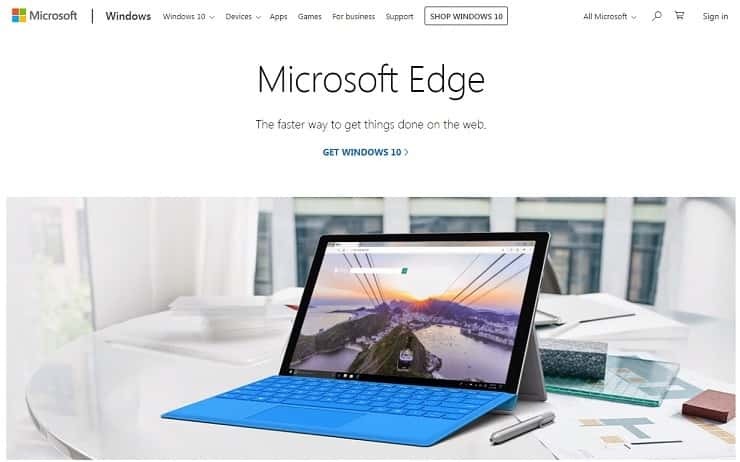 Edge Browser got a lot of nifty features and is light on system resources too. 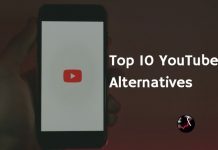 Take this if you’re a novice user, looking for plain fast web-browsing and nothing else. Another decade old competitor to others, Opera is a pioneer when it comes to web browsers. Many features like private browsing, tabbed browsing, instant cache and cookies deletion, etc., are originally said to have been introduced by Opera. As of now, Opera runs on the same browser engine as Google Chrome, and hence, expect similar performance from both. However, Opera’s UI is as simple or rather more beautiful in some senses than Chrome and Firefox. 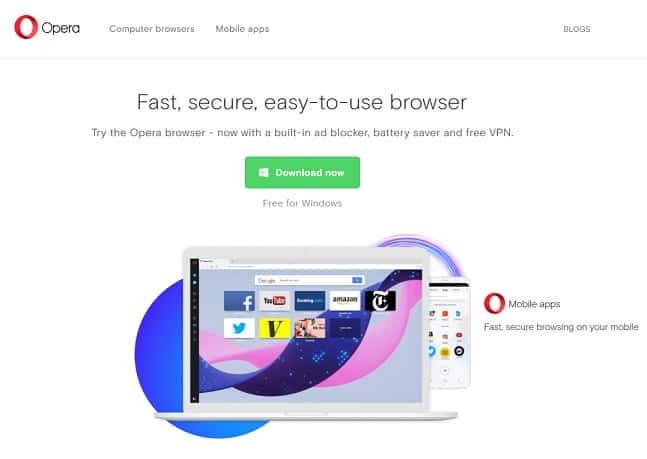 Opera features a built-in ad-blocker, a battery saver tech for when the browser is running on laptops and mobile devices, and a free of cost VPN service. These are features that are enabled in other web-browsers only by making changes deep inside the menu or by installing add-ons. 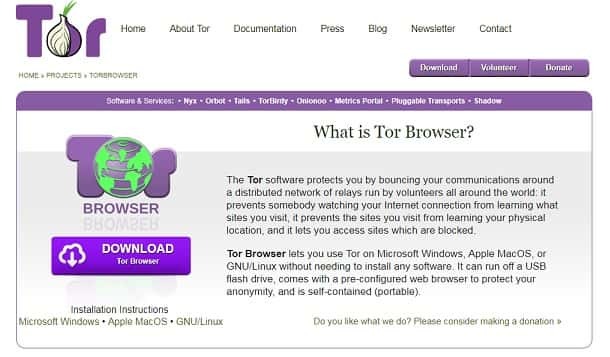 TOR (The Onion Router) is the most secure browser, This won’t allow websites from tracking locations, storing cookies and can be used to access blocked websites. 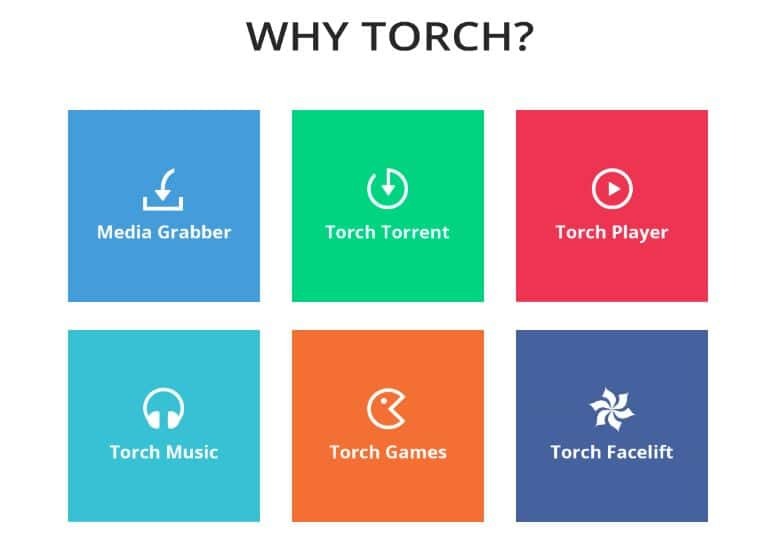 Torch browser also uses Chromium, Torch has additional features like Built-in Torrent downloader, Media Grabber using which you can download videos or music in one click, Torch Player to play Music, Torch Games, and Torch Facelift. 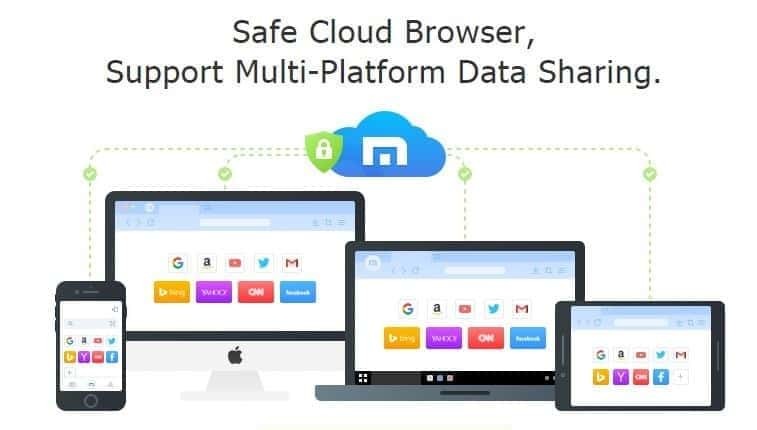 Maxthon is one of the Fastest Browser with Features like Cloud Sync, Dual Core, Ad Blocker, Resource Sniffer, Incognito Mode, Magic Fill. 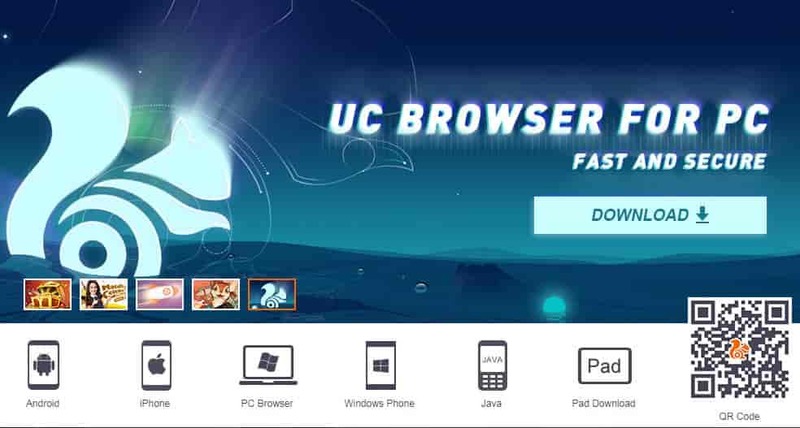 Though the Mobile version of UC browser works awesome, Desktop version doesn’t have that many features. but still, this holds a huge user base. I couldn’t see any major pros and the only con here is, UC browsers will send you a lot of annoying notifications by default. 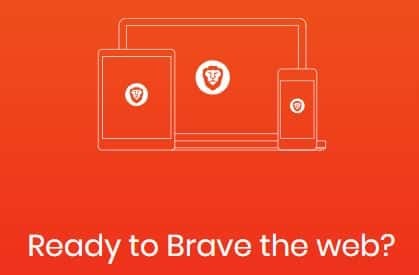 Brave is another Open source web Browser based on Chromium, Like other browsers Brave browser also blocks website tracking and Blocks Ads. This browser is supported in Windows, Linux, and Mac. Vivaldi, a new modern web browser built on the same browser layout engine as Google Chrome and Opera, this means, all add-ons and extensions designed and built for Google Chrome will work on Vivaldi also. This new sleek browser is beautiful and neat to look at. It is designed for use by heavy users, who at any time will have a dozen or so tabs open in the background. It’s got some nifty features that improve its usability manifolds. Give this one a try if you are searching for something different. These are the Top 10 Best browsers to try in 2019. Have a safe and secure browsing.